I'm a bit of a hand cream snob. My favourite one costs £50. It's impractical — even obscene — to spend that much on 2.5 fluid ounces of anything that's not liquid gold. But what can I say, I'm a princess. However, if 8,000 Amazon reviews are to be believed, I should throw my bougie bottle into the middle of the Atlantic Ocean, like 80 year-old Rose does at the end of Titanic. 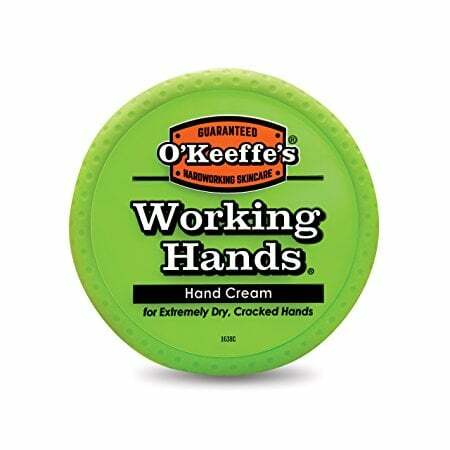 That's because seemingly everyone who has tried O'Keeffe's Working Hands Hand Cream becomes completely obsessed with the stuff — and it's only £7. Ladies and gentlemen, if you'll kindly head on over to Amazon dot co dot uk, you'll notice that O'Keeffe's is currently having a capital-M moment. The California brand isn't new — it's been around for over 20 years and was founded by a daughter in honour of her blue-collar working father. 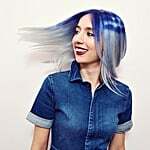 When Tara O'Keefe saw how dry her father Bill's skin got after a day of work, she was inspired to create a line of products strong enough to combat the hazards that come with a physical lifestyle. And apparently, the products work really, really well. Most of the fans of this product are people who feel that they have tried every product to combat extreme Winter dryness to no avail. These people have conditions that range from weather-induced cracked skin to eczema. No matter how serious the ailment, reviewers swear the moisturiser cures all. In a review titled "A blessing," one fan of the hand cream wrote, "Every Winter, my fingers and knuckles crack and bleed. I wash my hands a lot and they become in rough and painful shape in Winter. . . When I put [the cream] on my hands, I could tell right then and there, this was something well beyond all of everything on the market that I have tried. Believe me or not, this stuff started working immediately. . .It seems that it absorbed into my hands quickly and was smooth as silk. I filled all the cuts and cracks on my hands with this cream, [and] today they are almost healed." Another person wrote, "I've developed eczema on my hands over the last few years, and my fingers get terribly, painfully cracked all year long. . .This is THE only thing that gives me any relief. . .You'll notice a difference after just a couple of uses." According to the brand, the reason this hand cream seemingly works miracles is because it "not only protects skin from further water loss, but [it] also draws moisture to the skin." That new barrier prevents future dryness, which would explain why people say their skin heals so fast. Yes, the industrial neon green and orange packaging may not exactly be Diptyque, but 8,000 Amazon fans can't be wrong. BRB — buying a tube of this in bulk, then bathing it in.